Recently, my friend Jeff Goins called me out for procrastinating on a book I’ve been working on for more than two years. I know you might find it surprising that a guy like me, who’s written six books and teaches writing to thousands of people, struggles with procrastination and finishing his writing projects. Well, the truth is I’m the worst. The projects you struggle most to finish are the ones that are the most important to you. This book is important to me. It’s about an important, vulnerable period of my life. And I want it to be good. Really good. And so I procrastinate because I subconsciously believe that the longer I wait, the more prepared I’ll be, the better of a writer I’ll be, the more I will understand how to make this book great. In other words, I procrastinate because I believe that I’m not good enough right now. But here’s the truth: the only person who can write this book is the person I am right now. If I don’t write it, no one will. And so, I need some mind tricks to force myself to the blank page and make it all but impossible not to finish. Warning: these techniques are intense, and should only be used if you actually want to finish your book. Use at your own risk. For my deadline, I’ve given myself ten weeks to finish my book, setting the deadline for September 2. Have you set a deadline? What is it? I learned this trick from my friend Tim Grahl. If you want to make your deadlines and avoid procrastination, create unthinkable and painful consequences. 1st deadline missed: Delete Star Wars Galaxy of Heroes, my favorite iPhone game, from my phone (and don’t reinstall until the book is finished). 2nd deadline missed: Give my iWatch to my wife (permanently) and buy three pints of Jeni’s ice cream ($12 ea.) for the people who work in my office. 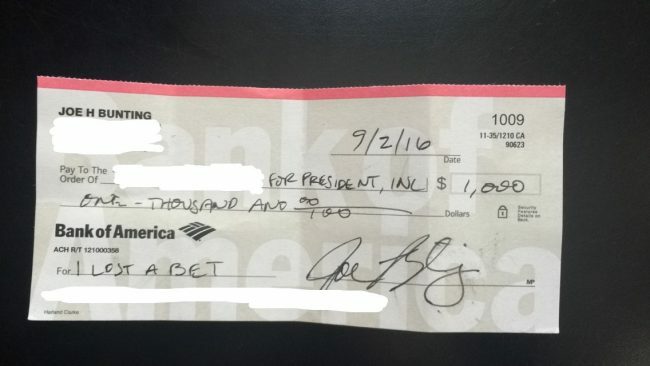 3rd deadline missed: Send a $1,000 check to the presidential candidate I despise. Honestly, this last one has me terrified. The book I write by September 2 may not be very good, but it will be finished. Note: If you choose to write a check to an organization you despise, it’s best to write the check in advance and give it to a trusted friend with strict orders to send it if you miss your deadline. What will your consequences be if you don’t hit your deadlines? Each morning before work, I will write 500 words at Carroll Street Café. Note here that it’s very important to imagine where and when you will write. Your chances of following through go up significantly if you picture yourself writing at a specific location at a specific time. What is your writing intention? I believe in the power of community. It’s good to be around people who are struggling with the same problems you are. I’ve found that when I spend time with writers who are better than me, I become a better writer. Make friends with other writers. You will probably find that you become a better writer almost through osmosis. And when it comes to your book, how will you be able to face your writing friends if you’re procrastinating on your own projects? Personally, I’ve asked several writing friends to hold me accountable to finishing my book. Who will hold you accountable to finish your book? Stories are meant to be shared, and when we share them, it unlocks a deep motivation to share more stories. We take words for granted, especially words like story, that we’ve heard since we were children. What I find interesting is that the definition of story seems to imply an audience, that there has to be someone listening to the narrative for it to be considered a story. The word narrative itself suggests “narration,” sharing your story with other people. We often think of a writer as some loner slaving away in a dark closet with his imaginary friends, but the truth is that story itself comes from a social urge to connect. For the practicing writer, sharing is great regardless of the outcome. If your audience loves it, you have the pleasure of connection. If they don’t, you have the feedback you need to make it better. For my book, I plan to share my first draft with our Becoming Writer community to get their feedback on how to make it better. Where will you share your writing? We sometimes think procrastination is a moral failing, that we’re irresponsible, bad people for failing to follow through on our plans. The reality is that procrastination is often just a lack of structure, and what the above techniques do is provide a structure that will all but guarantee that you will finish your book. The real question is, are you willing to do it? Do you struggle with procrastination when it comes to your writing projects? Which of these techniques would help you the most? Let me know in the comments section. 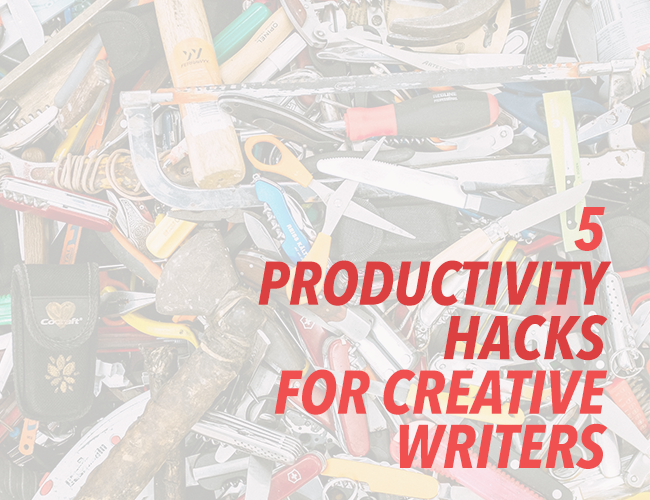 Choose one of these techniques and put it to use to finish your own writing projects, whether it’s a short story or your book (I highly recommend giving yourself a consequence!). Let us know which one you chose. Bonus points if you set a reminder for yourself to come back September 2 and share how it went. I certainly will be sharing how my book went!